A few years ago it became necessary to purchase converter boxes to still be able to receive Over The Air TV signals, since they went all digital. But these converter boxes just plug into your TV, and let you watch programs on a larger screen; if you want to see stuff on your tablet? You’re out of luck. If you get the WatchAir, a smart antenna, you can do just that. 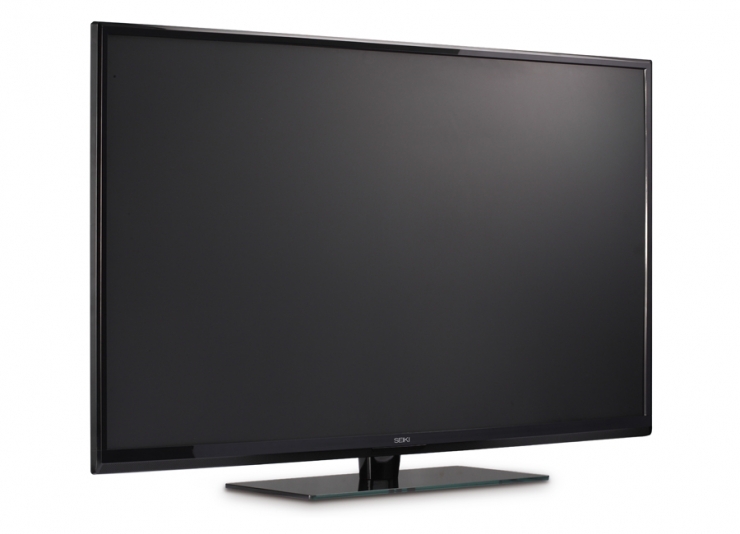 It sends the OTA HDTV signals to any connected smart device, by using your home router and WiFi. You can record shows, access the TV guide, and do anything you’d normally do on your living room TV, but on your cellphone, your tablet, or your laptop. It’s currently going through a Kickstarter, and a $189 pledge will get you yours. 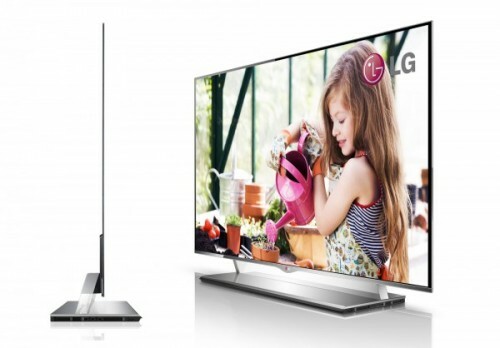 We were talking to an LG representative last winter at CES and he was going over how awesome the 55EM600 is. How thin. And then we saw it and couldn’t quite believe our eyes: the thing was razor thin and the colours just popped. But it wasn’t ready for prime time. Rumour had it that at such a thinness and expanse of viewing area, structural integrity might have been a concern. Well now news is that the tv is almost ready to ship and it now has a large base that relocates all the connections to the back, while the back cover of the screen is now made of carbon fiber. This has allowed it to shed even more width, leaving the screen at a barely-there 4mm thin (0.16 inches). The technology is new however, and when this happens, the prices rocket sky high. Word is that when it ships later this year, you could be looking at €8,000 ($10,063) in bank account draining damage. By David Ponce on 01/09/12 • Leave a comment! If you’ve got a nagging urge to get your Android action on that big fat HDTV you just purchased, a company called Always Innovating might have something for you. 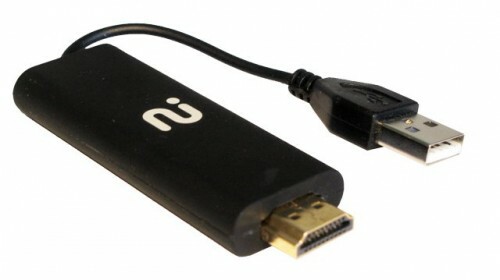 It’s an HDMI dongle that is essentially a little PC all on its own. It’s got its own TI Dual Cortex-A9 OMAP 4 (1 to 1.8GHz) processor, 256MB to 1Gb of RAM, WiFi and is capable of 1080p video decoding. Oh, and it’s running Android 4.0, also known as Ice Cream Sandwich. The idea is that you take any ole TV, plug this into the HDMI port and off you go, running Android as if that TV was a mobile device. You can run apps, browse the Internet, watch movies and do whatever else you’d do on an Android device. Always Innovating isn’t selling these directly to the consumer, instead opting to license them to third party vendors. They expect to see them in shelves come summer 2012, for a price somewhere between $49 and $99. I’m as big a fan of streaming/downloading content online, or watching TV on demand, as anyone these days. But I also have to admit that at times I still enjoy the randomness of broadcast television, and just flipping on the TV and taking what I get. The feeling is hard to describe. But it’s like The Simpsons. While I own every season on DVD (up to season 10 of course) and can watch a given episode whenever I want. There’s still some appeal to randomly stumbling across a classic episode on TV. 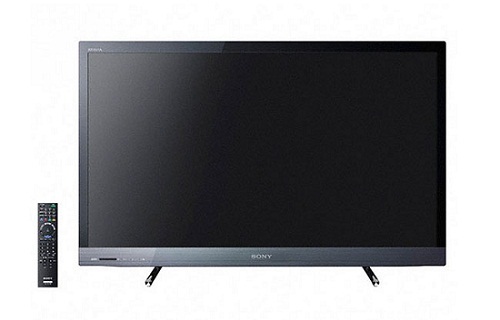 But for most people, enjoying broadcast TV is limited to sitting at home on the couch in front of the flat screen. It’s not always easy to take it with you. Portable TVs are always an option, but who wants to bother when you probably already have a laptop with you while traveling? So most of the time you’ll settle for a show or movie you’ve ‘purchased’ online. 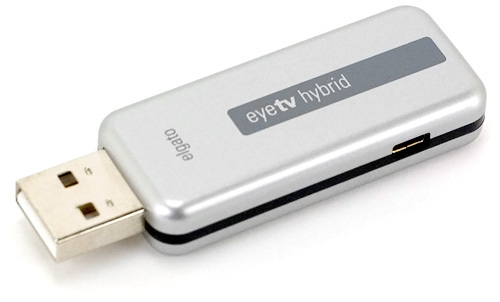 But with Elgato’s EyeTV Hybrid dongle you don’t have to settle. If you’re sitting in an airport and want to see what’s going on with the local news, you can just plug it in to your laptop and enjoy broadcast TV right in your lap. It can even turn your laptop into a portable DVR, stream a live broadcast to your iPhone or iPad and best of all, the hardware is smaller than some flash drives. Check out our full review after the jump. By Andrew Liszewski on 12/17/10 • Leave a comment! 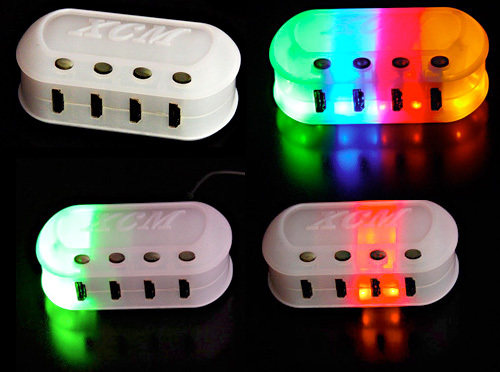 What it lacks in subtlety, XCM’s HDMI Capsule switcher makes up for in simple usefulness. I’m hesitant to call it a run-of-the-mill HDMI switcher though. Technically all it’s really designed to do is switch between 4 connected HDMI sources, but its frosted plastic housing hides a rainbow of surprises. Literally! The box glows either green, blue, red or yellow depending on which input is selected. So if you color coordinate it with your gear properly, you should be able to see what’s currently selected at a glance from across the room. Available from importers like Play-Asia.com for ~$30. 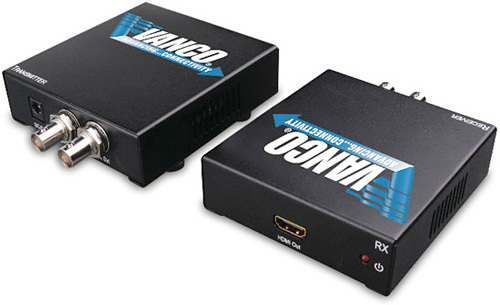 These nondescript black boxes from Vanco could be the best thing since sliced bread if you need to route an HDMI AV signal around your house, but don’t want to re-wire your place with HDMI or HD video friendly cat5e & cat6 network cables. 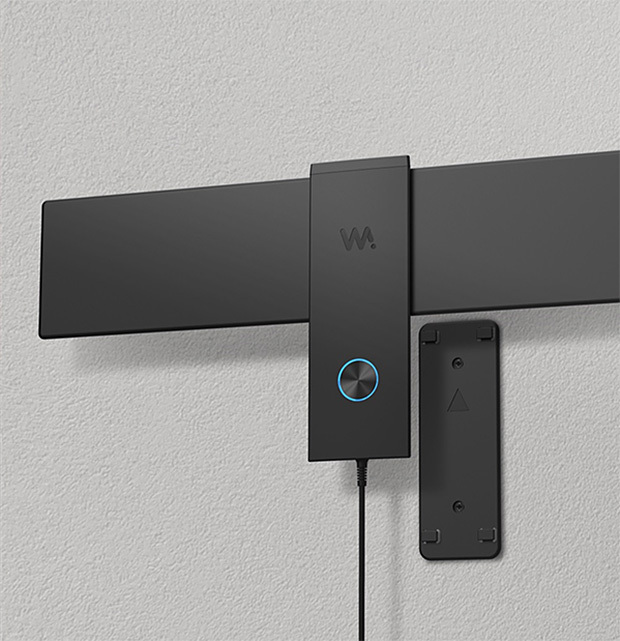 It instead lets you transmit a full 1080P HDMI audio & video signal over your home’s existing coaxial wiring, assuming of course your home is wired for cable. Over a dual or quad-shielded RG6 coaxial cable you can extend the HDMI signal up to 328 ft. or 164 ft. over RG59 coaxial cable which I’m going to assume is more common. And if for some reason you’re setting up a massive video wall at home you can cascade up to 45 of the receiver units from a single transmitter box. As for the price tag? Well I’d like to say this solution is a more affordable alternative to running network cable or using other HDMI extenders, but the transmitter & receiver pair run about $500 so I guess it all depends on your particular setup and how much easier or cost effective it would actually make things for you. By Andrew Liszewski on 07/05/10 • Leave a comment! 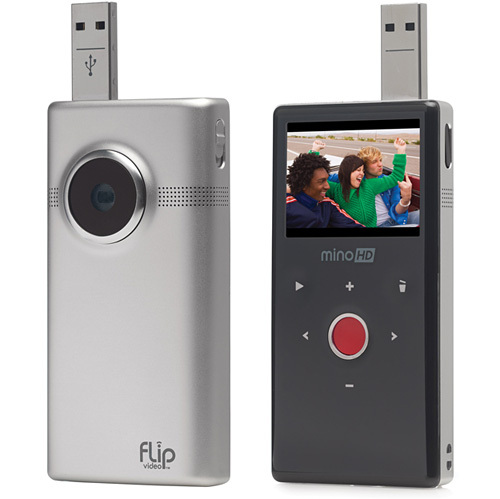 It was announced, and has been available in the U.S. since last Fall, but the second generation of the Flip MinoHD will soon be available for all of us north of the U.S. border. (By mid-July for $239.) When compared to the original MinoHD the second generation model has a slightly thinner, considerably more rounded body with an aluminum housing featuring a brushed metal finish. Overall it’s a bit sleeker than the previous model, but is far more pocket-friendly and compact than the Flip UltraHD we reviewed last year. And if brushed metal isn’t your thing (what’s wrong with you?) you can order a customized version from the Flip website instead. But the real improvements of the second generation MinoHD include a bump to 8GB of memory, twice that of the original model allowing you to record up to 2 hours of 720P ‘HD’ video, a mini-HDMI port on the bottom and a screen that’s now 2 inches in size compared to the 1.5 inches of its predecessor. That might not seem like a lot, but having played with it for a while, it’s actually a big improvement. Video quality is pretty much on-par with the previous model and the UltraHD, same sensor and all, and while some people have commented that its touch buttons don’t provide a lot of tactile feedback (there’s still a physical record button) I actually like that they’re easy to keep clean. If you’re in the market for a compact camcorder the Flip line still remains at the top of the list when it comes to being easy-to-use, making them an ideal gift for the less than techno savvy. However, the lack of pretty much any options when it comes to video quality or shooting (it really only has a digital zoom) and the fact that certain reception-issue-plagued smartphones have already caught up and surpassed the Flips when it comes to functionality will hopefully see Cisco expanding the line and the camera’s capabilities in the very near future. You don’t think they bought Linksys and Flip for nothing did you?